Grand Prairie is a fantastic vacation destination for families, road trippers, and anyone looking for a fun place to escape for a while. The city offers some of the best shopping in the Dallas and Fort Worth area; you could easily spend your entire time here browsing one-of-a-kind items and heavily discounted name-brand products. There are also lots of unique, inexpensive activities that kids of all ages are sure to love, from skateboarding to carnival rides. Read on for more about some of the best things to do in Grand Prairie. The performing arts are alive and well in Grand Prairie, with a handful of cool places to catch a show by a superstar musician or an up-and-coming band. Verizon Theatre at Grand Prairie earns high marks for its excellent acoustics that have made acts like The Eagles and Michael Buble sound even better when they’ve come to town for a concert. 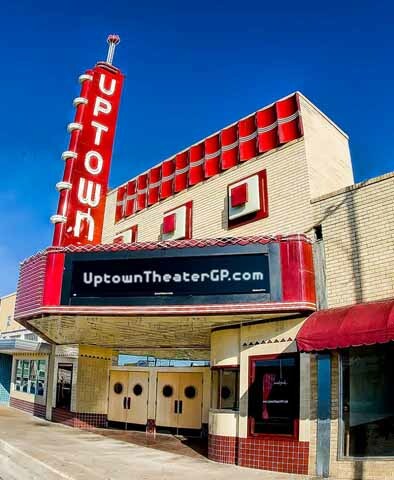 For a slightly more intimate environment, try Uptown Theater, the newly restored, 1950’s-era movie house. Today, the cozy theater hosts concerts and dance and theatrical performances. You can also catch well-known country and rock acts at Grand Prairie’s own Lone Star Park. Although many come to try their luck betting on the thoroughbred horse racing, the track brings headliners like Gary Allan and Pat Green for live shows as part of the Lone Star Music Series. Finally, although it’s not technically a live show, the “7D Theater” at Louis Tussaud's Palace of Wax & Ripley's Believe It Or Not! is about as close to real life as it comes when you’re watching a movie. The motion seats and digital effects make for an experience as memorable as everything else on display here. It would probably be a good idea to squeeze in some cardio before you come to Grand Prairie to get your stamina up for all the shopping you’ll be doing here. Grand Prairie is a bargain-hunter’s dream. One of the most popular destinations in town is Traders Village, “the world’s largest flea market.” The kids can scream their lungs out on the 128-foot “Fleafall” and other carnival rides while Mom and Dad are parsing through the African art, housewares, Indian crafts, and virtually everything else under the sun. If you’re looking for anything from places like Japan, Korea, Thailand, and the Philippines, Hong Kong Market in Asia Times Square is a no-brainer. For deals on fresh styles by big-name brands and designers, head to the Grand Prairie Premium Outlets. Savings at the more than 110 stores you’ll find here run as high as 65% every day of the week, meaning you’ll be rocking gear from Banana Republic, J. Crew, Cole Haan, and Tommy Hilfiger at a fraction of the price you’d pay at a typical store. If you’re looking for a global shopping experience, or you want to score a great deal, Grand Prairie is the place to be. Whether you’re a seasoned golf pro or a weekend hacker, you’ll find something to love about one of the golf courses in Grand Prairie. In fact, two of the finest public golf courses in Texas call Grand Prairie home, and both offer terrific place to spend an afternoon. 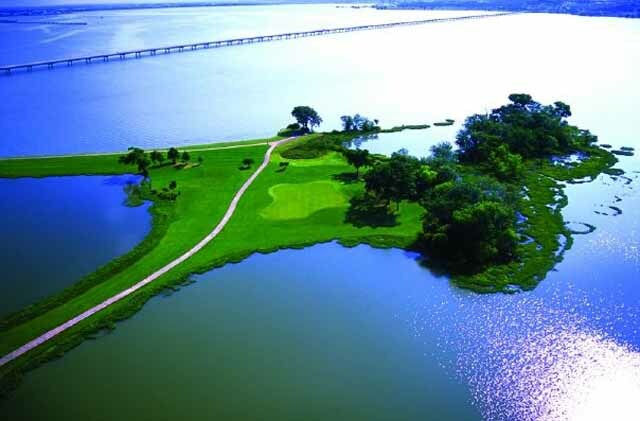 Tangle Ridge Golf Club on the south side of Joe Pool Lake has been named a “Best in Texas” course by Texas Golfer and was No. 16 on Dallas Morning News list of the top 100 courses in Texas. Its elevation changes, numerous water hazards, and thick trees mean the course is as pretty to walk as it is challenging to play. On the other side of Interstate 20, Prairie Lakes Golf Course offers an outing that’s equally scenic, with its 27 holes staged near lovely Mountain Creek Lake. The course is notable for having the largest practice area in Texas and for serving up barbecue from Grand Prairie establishment Eddlemon’s, which moved to its current location inside the Prairie Lakes clubhouse in 2006. The city of Grand Prairie has 52 parks with more than 5,000 acres of pure, unadulterated outdoor fun. While you can find great amenities at all of them, three in particular are local and tourist favorites. Go for a swim in Joe Pool Lake or work up a sweat on the volleyball court at Lynn Creek Park, a beautiful year-round getaway that is home to the famous holiday season display Prairie Lights. Loyd Park, located on the western shore of Joe Pool Lake, is a hit with campers, offering more than 200 sites and cabins for roughing it (to degrees). And for a park of the concrete variety there’s Alliance Skate Park, a $1.2 million collection of three in-line, biking, and skateboarding courses, one of which is fully covered.